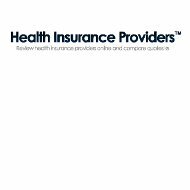 For this Valley Health Insurance Company review, we had a seemingly unlimited number of choices ranging from local independent agencies all the way to larger regional insurance companies. We chose the Valley Health Plan because of the fact that it was the only one that met certain criteria. First, it was the only organization that was not a local agency and didn’t designate a specific geographic region in its name. Second, of the remaining companies it was the only one that dealt with health insurance. Regardless of where you live, you can search for health insurance rates online by entering your zip code into our free search tool. Valley Health Plan is a small, regional health insurance provider for three specific groups of workers in California’s Santa Clara County. The entity was formed in 1985 to provide managed care insurance for Santa Clara County’s employees. In just 10 short years, the number of people enrolled in the plan had grown to 4,500. From there it continued to expand to a point where today it also covers Santa Clara County’s IHSS workers, the Valley Transportation Authority, and a handful of other employer groups. Valley Health Plan is categorized as managed care in the sense that it promotes preventive medicine just like your standard HMO. The plan works on a PPO/PPN model of doctors and healthcare facilities who have agreed to be part of a network. In doing so, these doctors and facilities agree to charge discounted rates in return for full, 100% reimbursement by the plan. With standard health insurance, doctors usually do not get 100% reimbursement, which means they have to charge higher prices. Members of the plan are required to use network providers whenever possible. In exchange, they also receive reduced rate service in order to help keep costs down. If members travel outside of the network coverage area, and need health care services, they will still be covered, albeit at a higher rate. Depending on the type of service they seek, they also may be required to pay a higher portion of the bill. In order to encourage membership in the plan, Valley Health Plan offers its members a handful of extra benefits. At the top of that list is their Global Travel Plan, which covers members entirely for any emergency medical services while traveling outside of Santa Clara County. That means members don’t have to worry about emergency medical care when the traveling on vacation, taking a business trip, or attending out-of-town weddings and funerals. Other extra benefits include chiropractic and acupuncture coverage, healthy cooking classes, Pilates, Zumba, and a host of other fitness programs. These additional benefits are designed to promote good health and well-being among members, thereby helping to reduce healthcare costs for the organization. It is a model that is being promoted more and more among managed care organizations as a way to promote good health and save money. From the information, provided on Valley Health Plan’s website it isn’t clear whether or not their service is based on a direct bill or third-party reimbursement model. In a direct bill, model members would obtain standard health care services and pay only their required co-pay at the time service is rendered. The individual doctor’s office or health care facility with then directly bill Valley Health Plan for the remainder of the balance. This is the way most health insurance plans work nowadays. In a third-party billing scenario a member would visit a doctor or healthcare facility and pay the entire balance due at the time service is rendered. He would then fill out a reimbursement form, whether on paper or online, and submit it to the plan for payment. It should be noted that Valley Health Plan provides a downloadable reimbursement form on its website. This doesn’t necessarily mean they are a third-party billing organization, but they could be. You’ll have to contact them directly if that’s information you need to know. On their website Valley Health Plan does provide the names and addresses of doctors and facilities within the network. This is helpful for new members who are looking for the closest providers to their location. We assume this list is kept up-to-date in a reasonably timely fashion. Members who are unsure whether a particular facility is part of the network can always contact the head office and inquire. Whether you live in Santa Clara County or not, online health insurance quotes are available to you when you enter your ZIP code below.